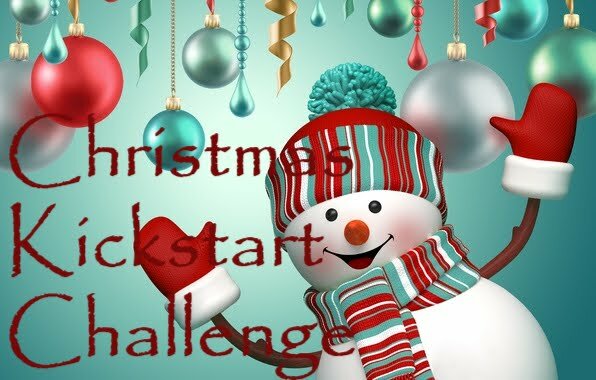 Keep Calm & Snark On : Christmas Kickstart Challenge #2 - Bundle Up! 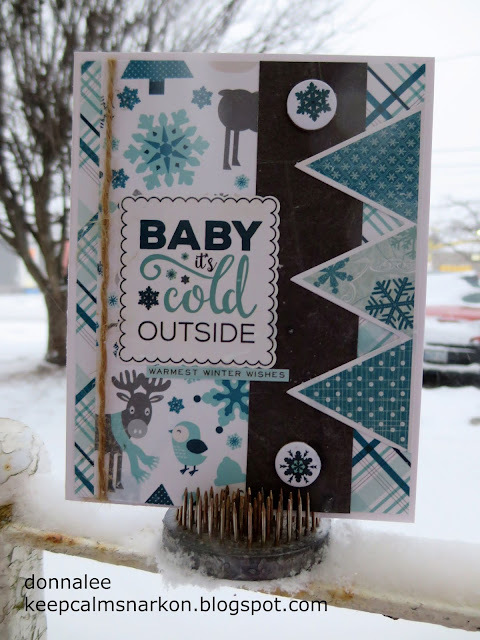 We are in the midst of a winter storm here in Southern Ontario. We are expecting up to 30 cm of snow in the Niagara Region where I live...woot woot woot!! It's a stay inside and play in the craftroom kind of day and suitably, the new CHRISTMAS KICKSTART CHALLENGE is "Bundle Up"
In an ongoing effort to use up some card kits I went back in my stash to a 2016 card kit that featured Hello Winter by Echo Park. Can you see my little orange Kia Soul in the back there covered in snow??? I'm entering this card into the Christmas Kickstart Challenge for "Bundle Up"